Built with adjustable front spacers – ensuring maximum product tightness throughout the life of the freezer. 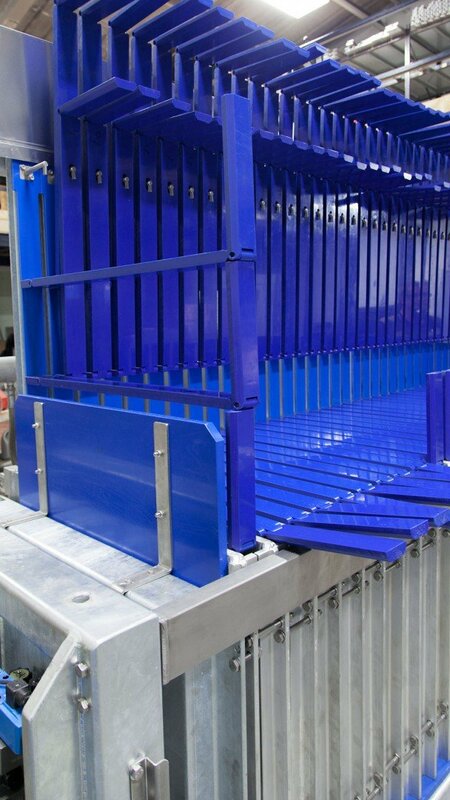 All lifting arm covers (UHMW or Aluminium) are dual-pinned to prevent any contraction when freezing, to further help prevent against losses. All plastics are approved for food contact, and are made from high visibility UHMW & HD Polyethylene. 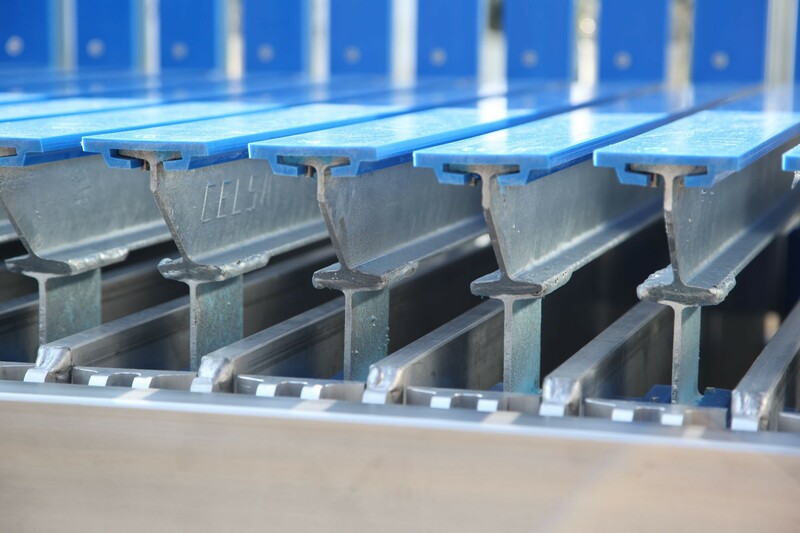 Generous 20mm low friction wear strips are provided for the plates, for long life and insulation against the cold plates. 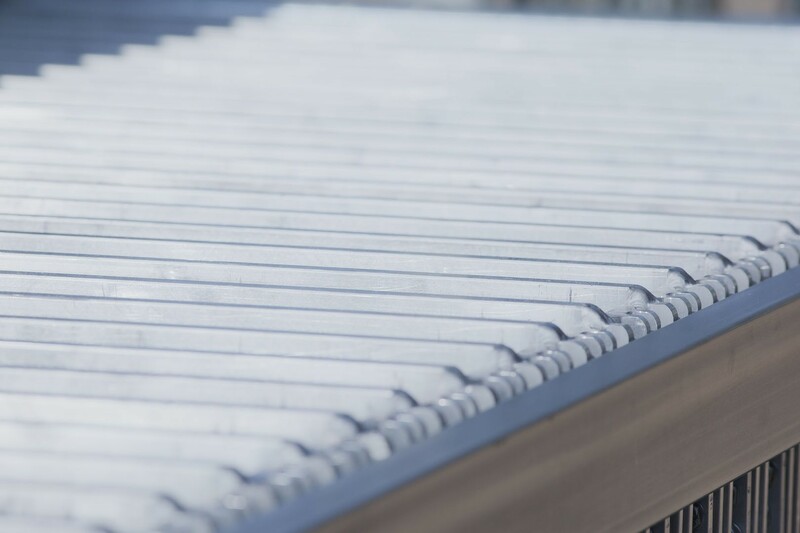 End plates are spaced from the frame to prevent excess ice build up during freezing and proper drainage during defrost. Special anodized Aluminium hose connections into the plate ensure a completely leak free service life. 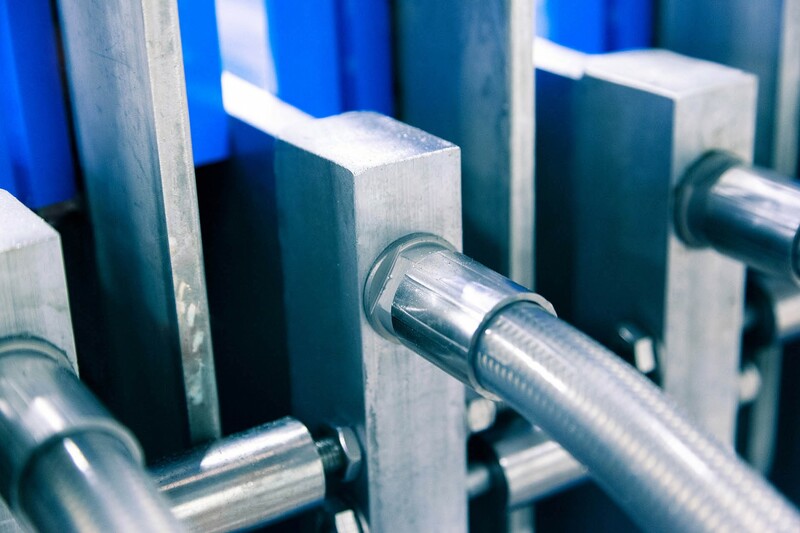 The hose features a male connection into the plate (which then cannot unscrew in operation), and uses a circumferential O-ring which does not rely on compression to seal; unlike tapered thread or gasket designs. Anodized Aluminium fittings prevent any galvanic corrosion of the sealing face in marine environments, and with a backup O-ring protecting the main sealing face, you can be sure of dependable production. 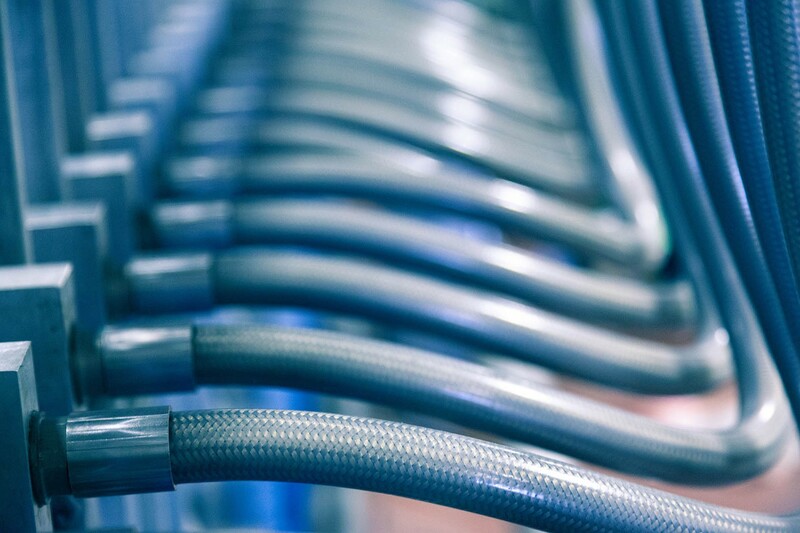 All the hoses feature spiral-convoluted PTFE inner hose, for maximum flexibility, covered with a 304L Stainless Steel braid, and an optional crimped Silicone sleeve on the outside – which prevents ice build up potentially damaging the hose, and maintains a hygienic cleaning solution. 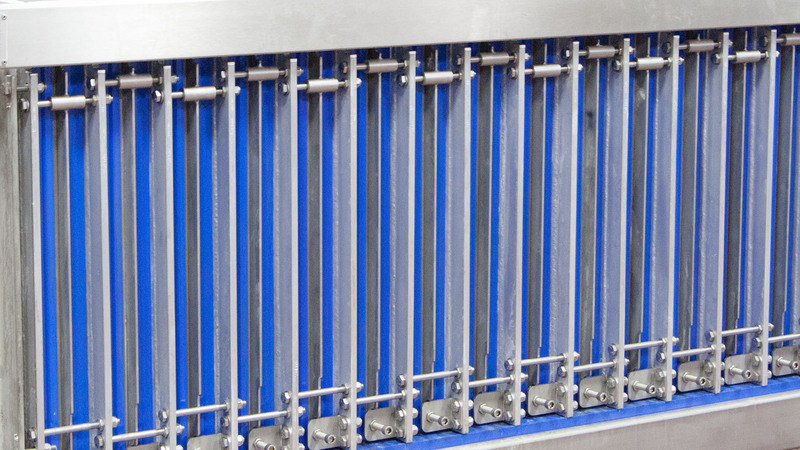 All plates are fitted with Helicoil’s from new to prevent any thread damage during service. We are freezing our MSM Salmon products in 95 minutes now, which is less than predicted, and a lot shorter again from our old freezers! Whitefish product is also freezing in 65 minutes, which is 20 minutes less than predicted! 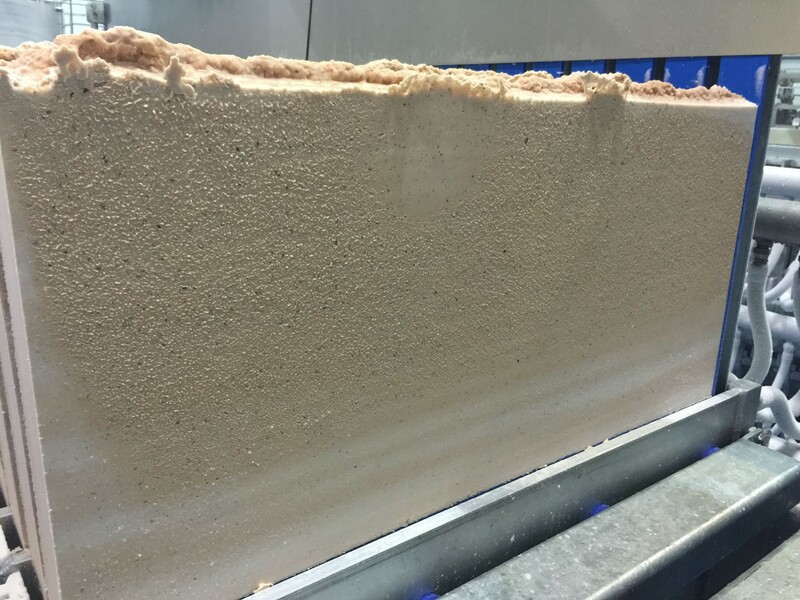 The new automatic defrost system you also installed is working perfectly, we are defrosting in under 2 minutes and the fish blocks are perfectly solid when released from the plates, no soft spots and we can immediately handle them without waiting! 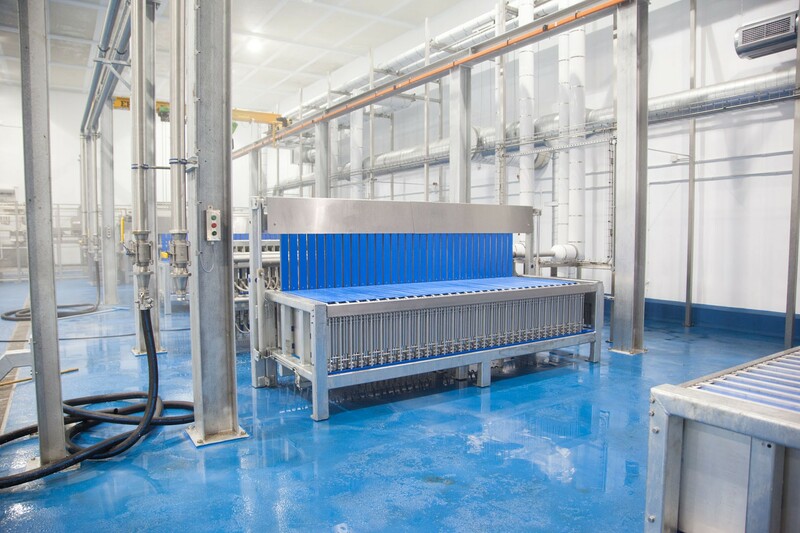 As an optional extra, extended cylinder stroke can be supplied to enable the lifting arms to be brought out of the freezing during cleaning cycles – allowing easy unobstructed access to the bottom of the arms. The arms are located in place still via small plastic guides to minimise the time spent going back into production. 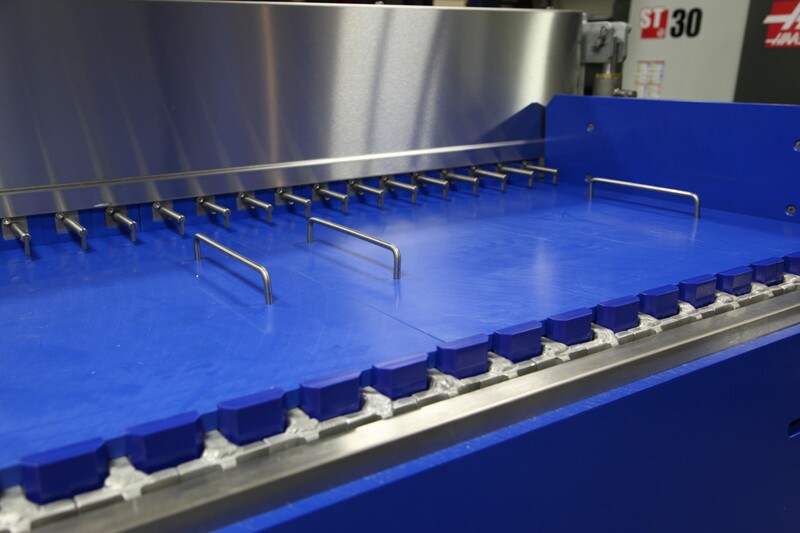 The freezers are further raised by another 160mm from the floor to allow for easier cleaning underneath the framework. Constructed of a PTFE hose + Stainless steel braid, with a Silicone cover directly moulded into the braid. Maintains flexibility & kink resistance even when covered in ice. 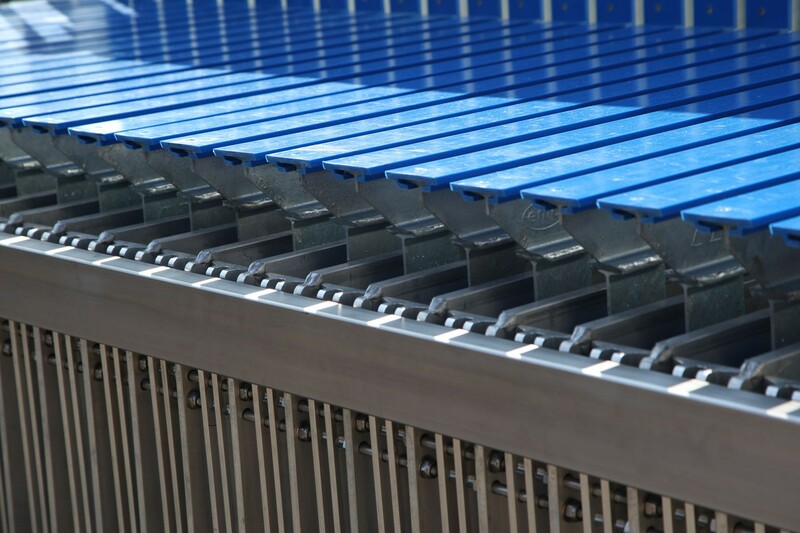 For multiple block configurations, block dividers can easily be fitted on all machines, and locate in a groove within the top of the freezing plate. 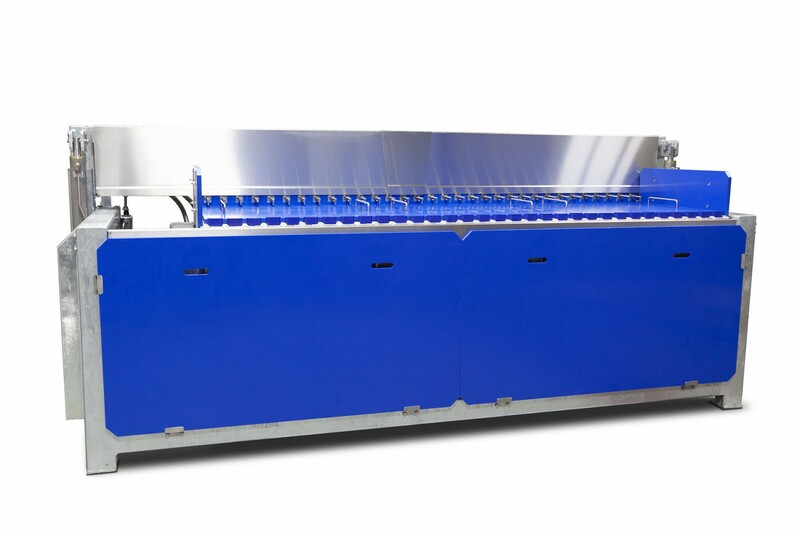 Multiple additional finishing options are available on all Vertical models, such as high visibility HDPE splash guards, and Stainless Steel construction. 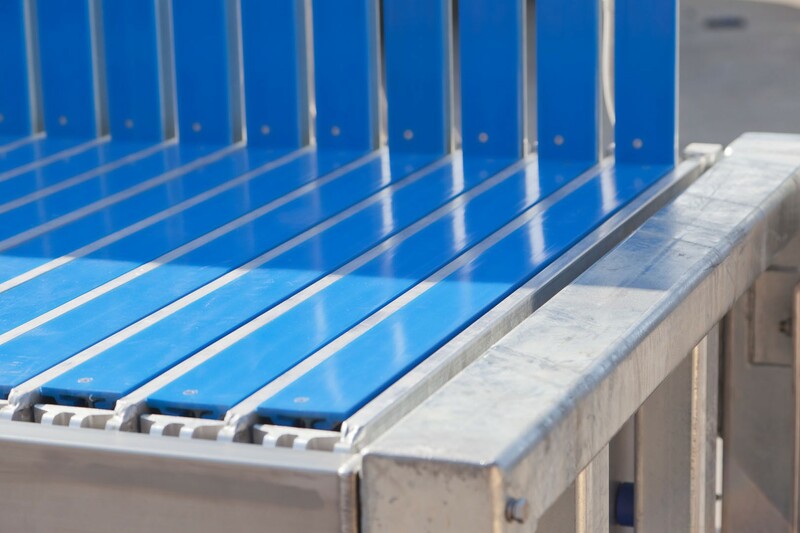 All freezers come with a Stainless Steel back guard, front beam & side panels as standard. 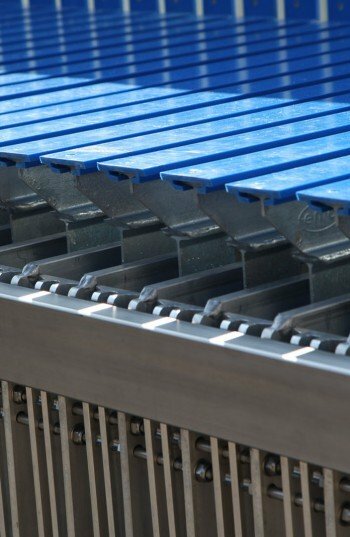 Specifically designed with our Russian fishing fleet, this Vertical Plate Freezer features horizontal block dividers to allow for a Russian standard 800 x 250 x 65mm block size to be used, without the blocks being frozen vertically, which can make it dangerous to unload in rough weather.